I should go ahead and admit what a huge fan I am of Brussels sprouts. They are in my top 5 vegetables of all time. I’m pretty much a fan of any green vegetable. I love broccoli, spinach, green beans, okra, greens, kale and most lettuce. Sometimes if we are having a meal that doesn’t include something green, I will eat a big bowl of sauteed spinach before dinner. Don’t judge me. 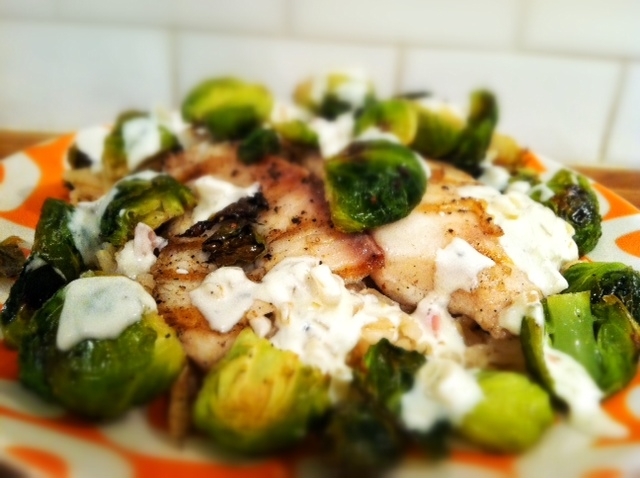 Having said that, when you make this dish you don’t have to put them on top of the fish, but I think you should. You could also use broccoli if you’re not a fan of the sprouts! Any vegetable with this sauce would be delicious. Up close and personal with Brussels sprouts! Get em while they’re hot! 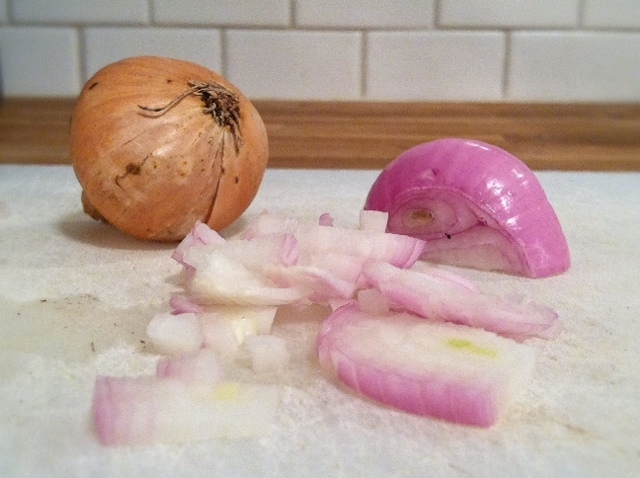 I think shallots are my favorite member of the onion family. I love a good silicone whisk. I found mine here. In a bowl, toss Brussels sprouts with olive oil, salt and pepper to coat. 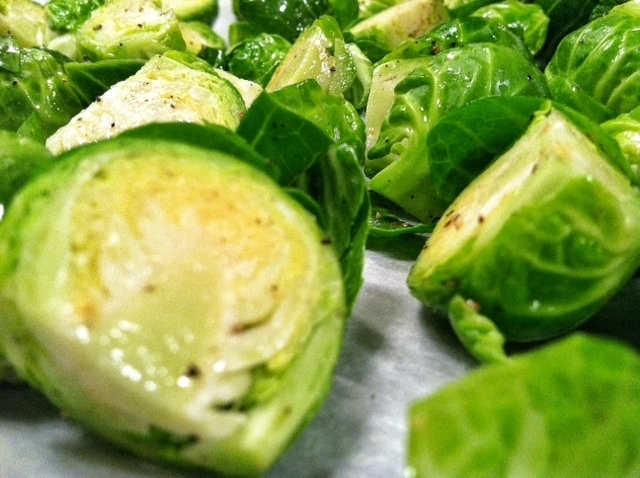 Transfer sprouts to a parchment lined baking sheet and bake for 20 minutes or until golden. Brush both sides of the fish with olive oil, sprinkle salt and pepper. In a shallow pan, melt butter over medium heat, add shallots and garlic. Cook until shallots have softened, 3-4 minutes. Grill fish on each side for 3-4 minutes. Remove from heat and cover. 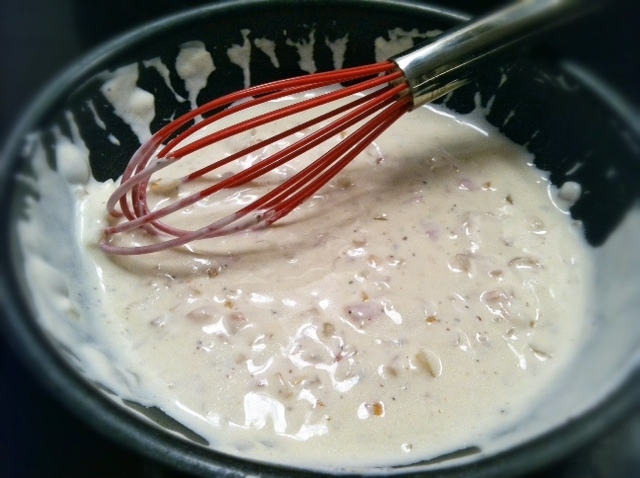 To the sauteed shallots add sour cream and whisk until smooth with a silicone whisk. Use chicken broth to thin. Add salt and pepper to taste. 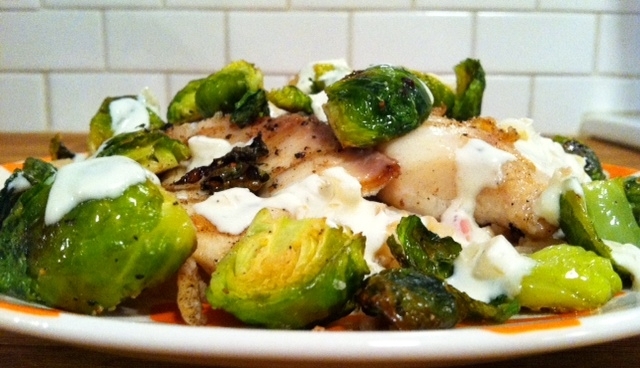 Place fish on a plate (over brown or white rice, cooked in chicken or vegetable broth) top with sprouts and sauce.